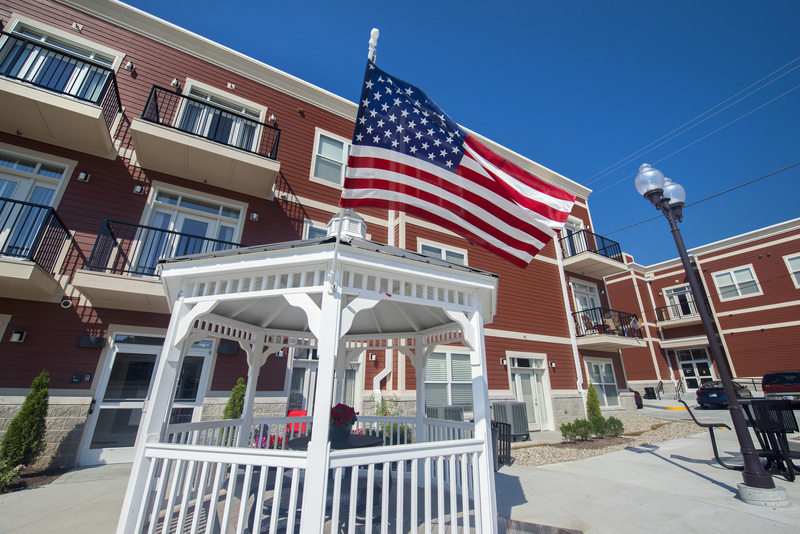 Downtown Terrace, an affordable senior housing community in Petersburg, Indiana, held it’s grand opening in March and then promptly garnered national recognition as a finalist in the Affordable Housing Finance Reader’s Choice Awards. 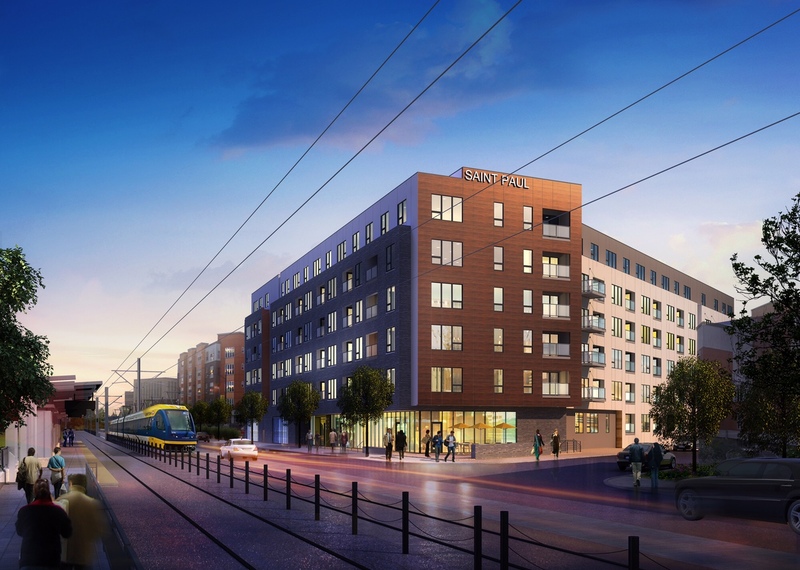 The project includes 42 affordable senior apartment homes and Good Samaritan Hospital serves as the anchor tenant, running an urgent care facility on the main floor that provides mental health service and a physician’s clinic. 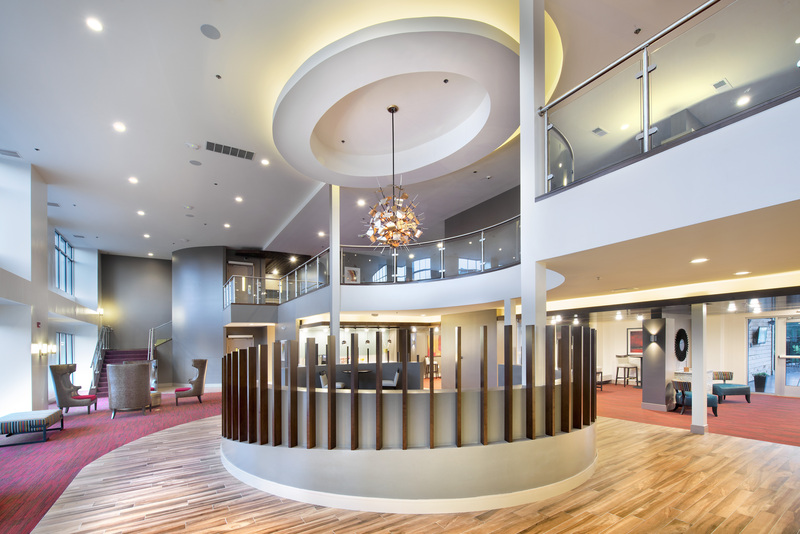 With an estimated economic impact of $100 million over the next 20 years, roughly 400 new residents, comprised of young professionals and empty nesters, will come to call The Heights Linden Square home in the coming months and years. Chalk full of resort-style amenities, the property boasts over 10,000 square feet of first floor retail that help to create an active, bustling and pedestrian-friendly city center. 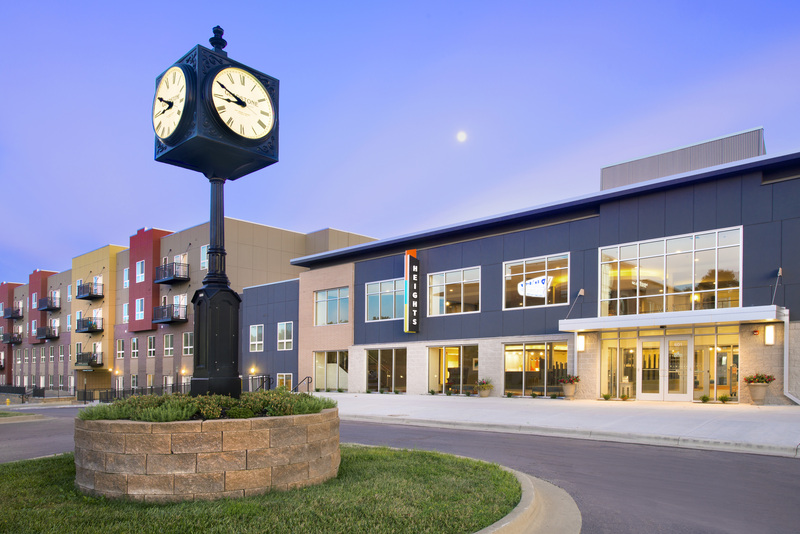 The Kansas City Business Journal wrote about how the project was set to transform Gladstone. 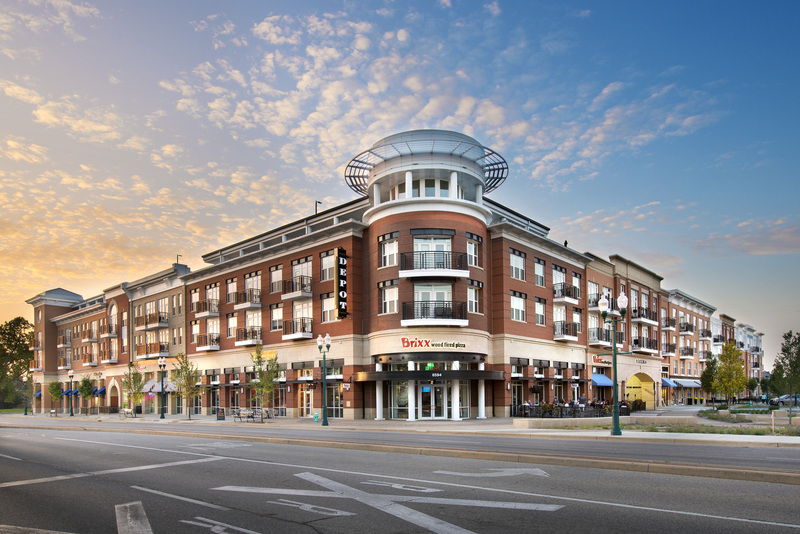 The Depot brought Fishers the start of a transformative and active downtown core, providing an upscale blend of residential and retail uses in a walkable, urban environment set in the emerging heart of downtown Fishers and 116th Street and Municipal Drive. The Depot at Nickel Plate and is one of the first developments in a series of projects to help transform downtown Fishers into a walkable, bike friendly hub of activity. 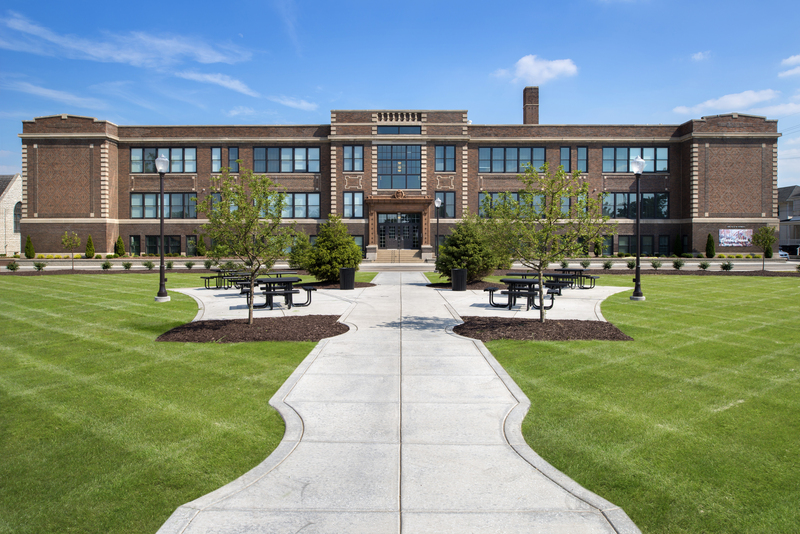 The project also won awards for interior design (Indy Chamber Monumental Award) and the OneZone Best New Construction Building for 2015. Clark’s Crossing, which features 47 unique affordable apartment homes, is an adaptive reuse of two historic buildings and opened to rave reviews last March. 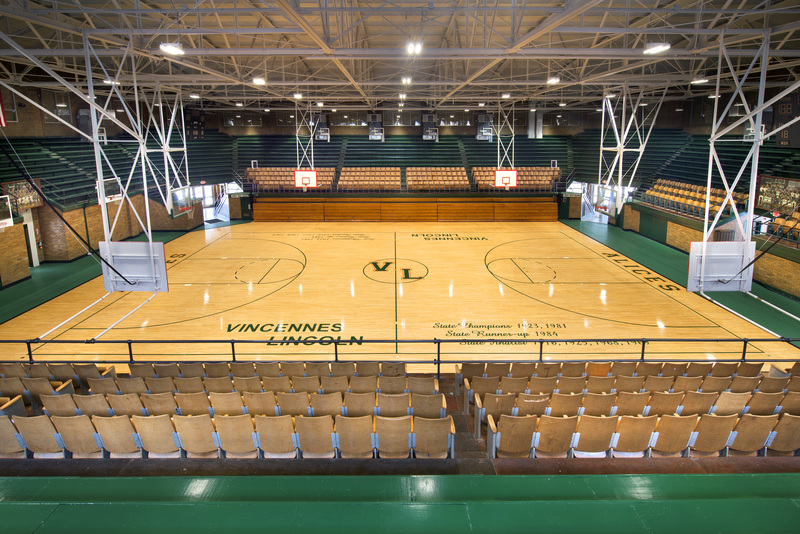 A collaborative effort between Myszak + Palmer, Flaherty & Collins Properties, Vincennes Community School Corporation (VCSC), The Vincennes Education Foundation and Vision Communities, the project involved the reuse of the old Clark Middle School and Adams Coliseum. Kuhl & Grant, LLP provided legal services and McKinley Development, LLC provided consulting services on the project. The development used the sale of historic tax credits and rental housing tax credits to turn the two buildings into a senior living facility in the heart of downtown Vincennes. Additional funding was provided by HOME and Development Fund Loans. Flaherty & Collins Properties will manage the property. Flaherty & Collins Properties held it’s annual fundraiser in support of the Mozel Sanders Foundation Thanksgiving Day campaign in mid-November, and ended up donating nearly $4,000 to charity. 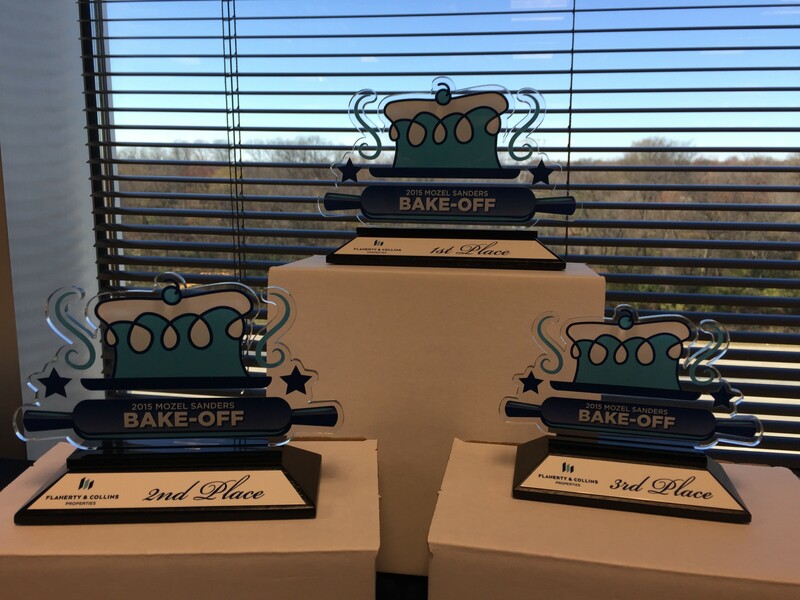 The Bake-Off, Pie Eating Contest and collection helped the Mozel Sanders Foundation reach their yearly goals. 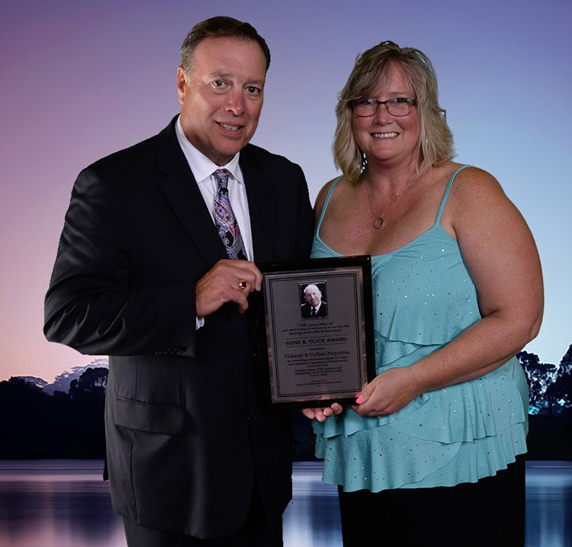 In addition, F&C provided various kinds of support to several groups throughout the year, which led to the Indiana Apartment Association (IAA) bestowing F&C with the coveted Gene B. Glick Spirit of Giving Award in September at the Awards of Excellence & Prodigy Awards celebration. 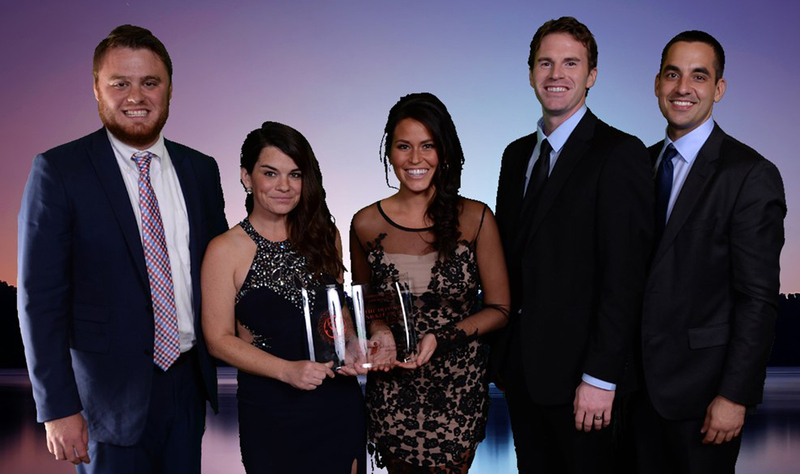 It was the second straight year we took home the most awards of any management company. In addition in 2015, Flaherty & Collins Properties also collected Monumental Awards for Axis (Achievement in Real Estate Development), The Depot (Interior Design). F&C Was also named to the Best of the Best lists for Construction, Owners and Management, as well as IBJ’s Largest Indianapolis-Area Construction Projects, Management Firms and Developers. 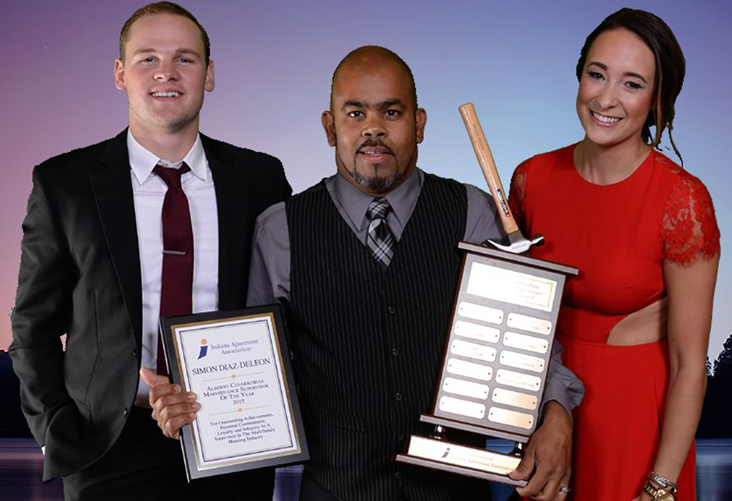 In November, two Flaherty & Collins Properties developments took home Greater Cincinnati / Northern Kentucky Apartment Association (GCKNAA) awards, and the Indiana Housing & Economic Development team presented us with two Lt. Governor’s Awards for Excellence in Affordable Housing (Rural & Seniors). 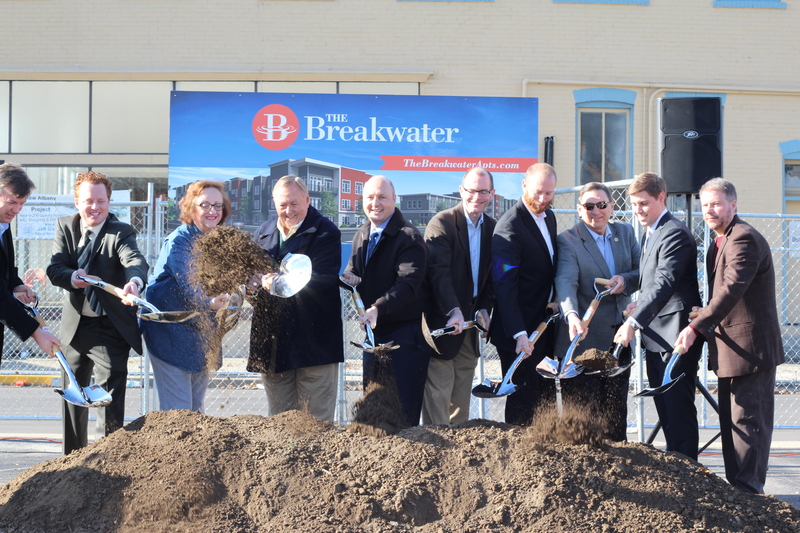 Just a couple weeks ago we celebrated this fantastic new project in New Albany, Indiana – The Breakwater – which is set to help transform downtown. 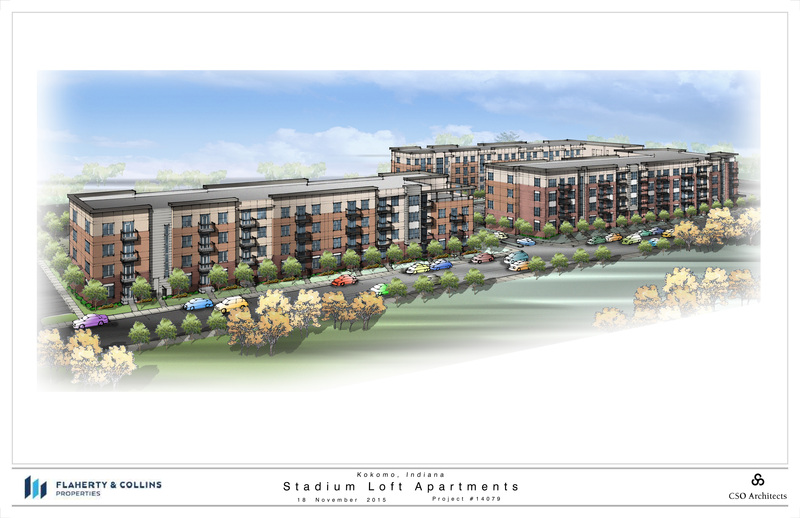 The $26.5 million project, will include 191 luxury apartments and 1,650 square feet of retail space in downtown New Albany at the site of the former Coyle Chevrolet/Dodge, will take 18 months to complete, was assisted by a $3.3 million DINO tax credit from the Indiana Economic Development Corporation (IEDC). 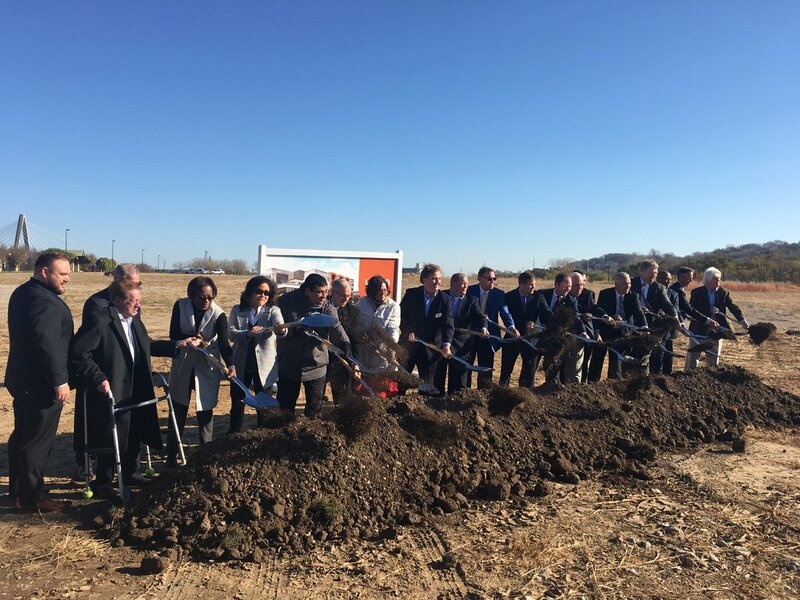 The project is expected to generate millions into the local economy from residents living at the site and creates 200 construction jobs over the next two years. 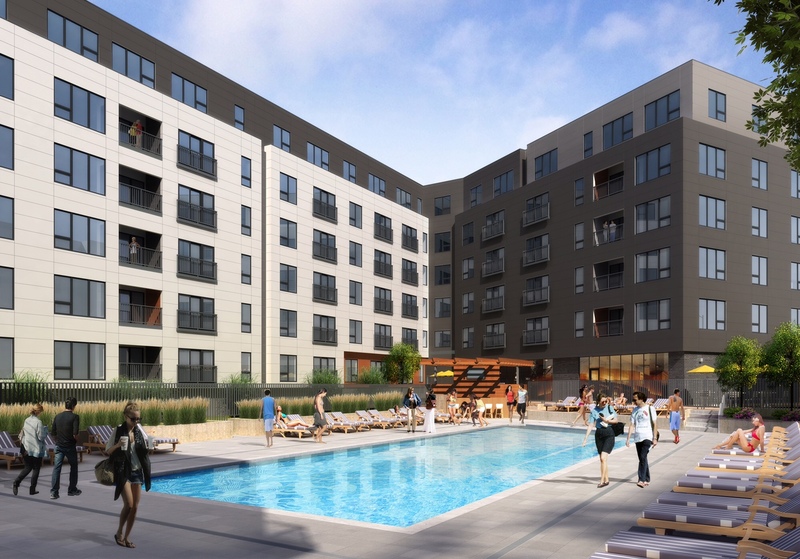 2700 University, a $54 million mixed-use development along the Green Line in Saint Paul, Minnesota, broke ground in late June. 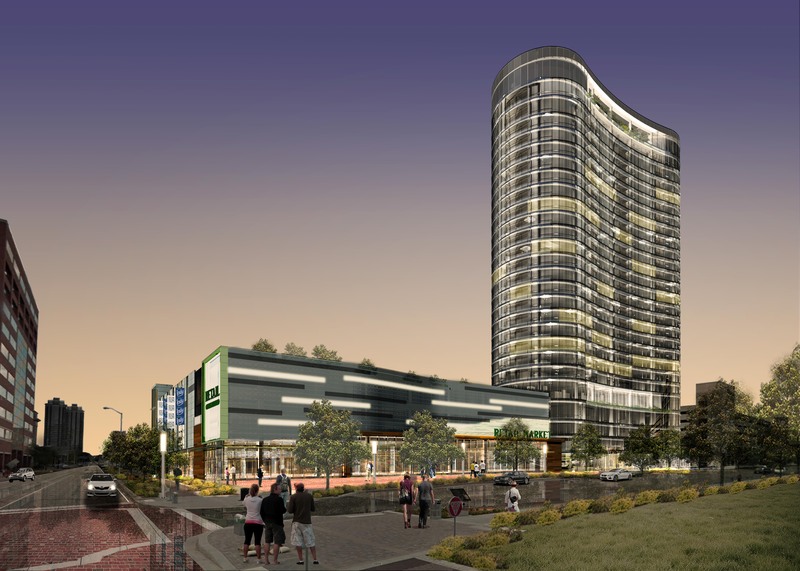 The six-story building is beside the Westgate light-rail station and will have 248 apartments, 3,000 square feet of retail space and two levels of underground parking. 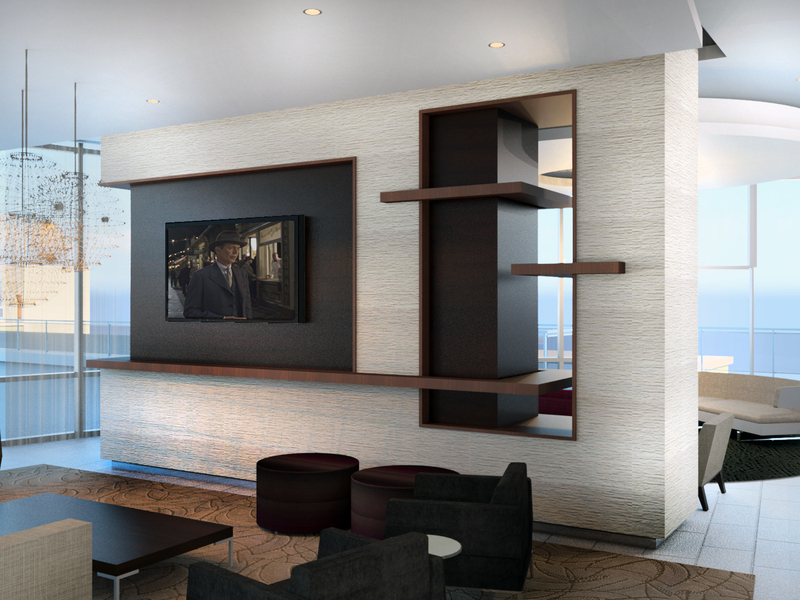 The project has been hailed from finance experts and architectural enthusiasts. The project will open in late 2016. 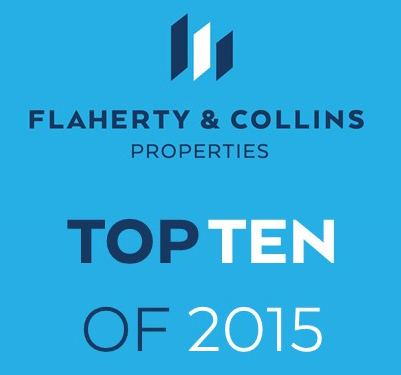 Flaherty & Collins Properties development team has been working diligently throughout 2015 to announce new projects and bring others closer to formal announcement and groundbreaking stages. 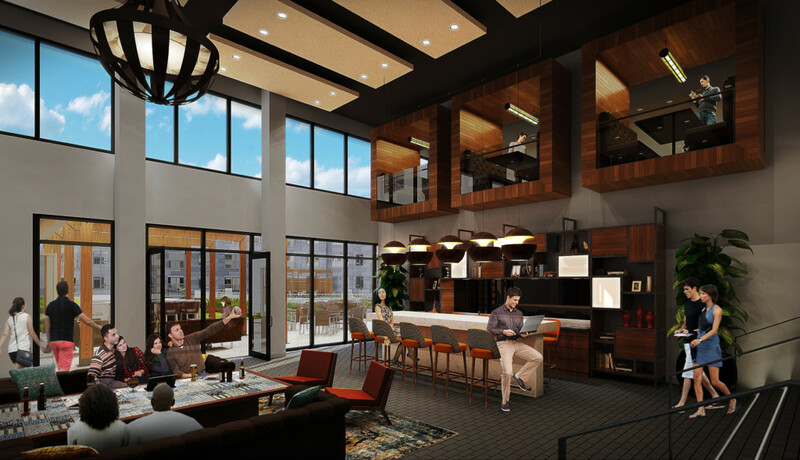 Plans were announced in November on the project in Kokomo to redevelop the former Apperson Brothers factory and surrounding property into a luxury mixed-use apartment community to open in the Summer of 2017. “Reusing the facade of this historic building preserves our history and provides much needed housing for our downtown,” said Mayor Greg Goodnight. The conceptual plans call for a mixed use development which includes the repurposing of the existing factory building as well as additional new structures on the site to accommodate 198 luxury apartment homes and retail in an urban configuration. The community will feature resort style amenities that will support and activate the space around the new development, tying in closely with the baseball stadium and downtown, while supporting the housing needs the City of Kokomo has outlined in their master development plan. 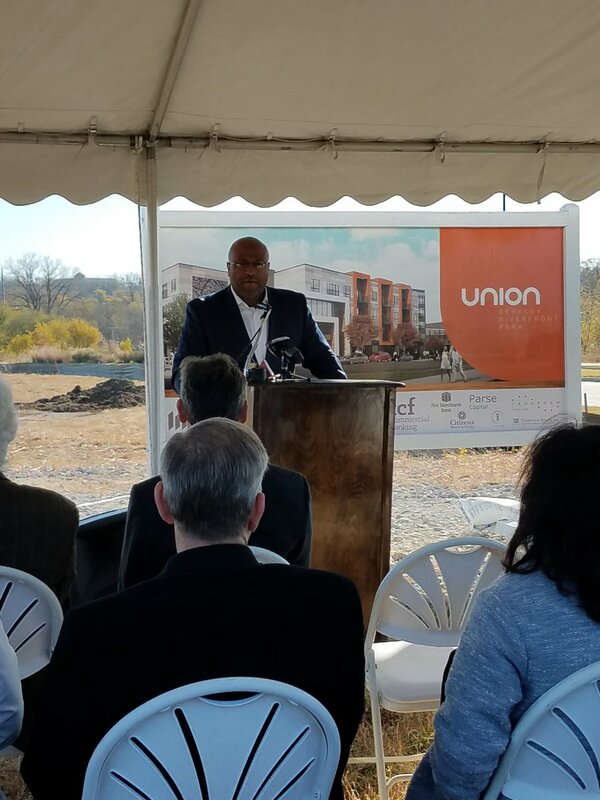 In March, the Port Authority of Kansas City announced our project along the Riverfront near downtown Kansas City, a development dubbed Union at Riverfront Berkley Park. 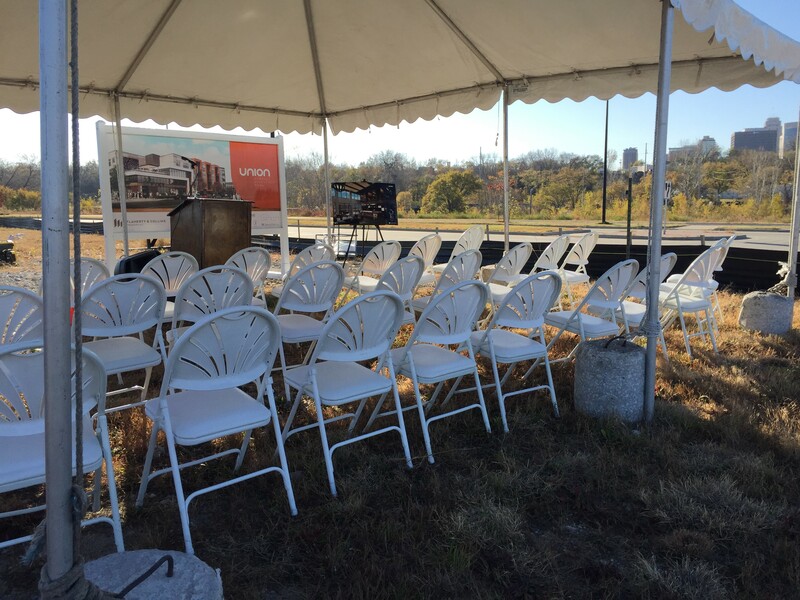 The $65 million mixed-use development is expected to break ground on the Missouri riverfront in 2016. 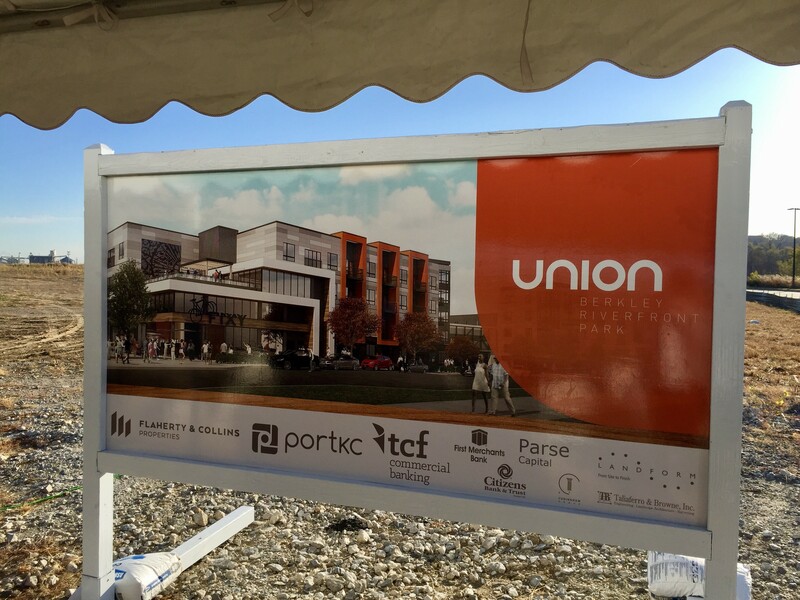 Union will include studio, one bedroom and two bedroom luxury apartment homes averaging about 875 square feet. 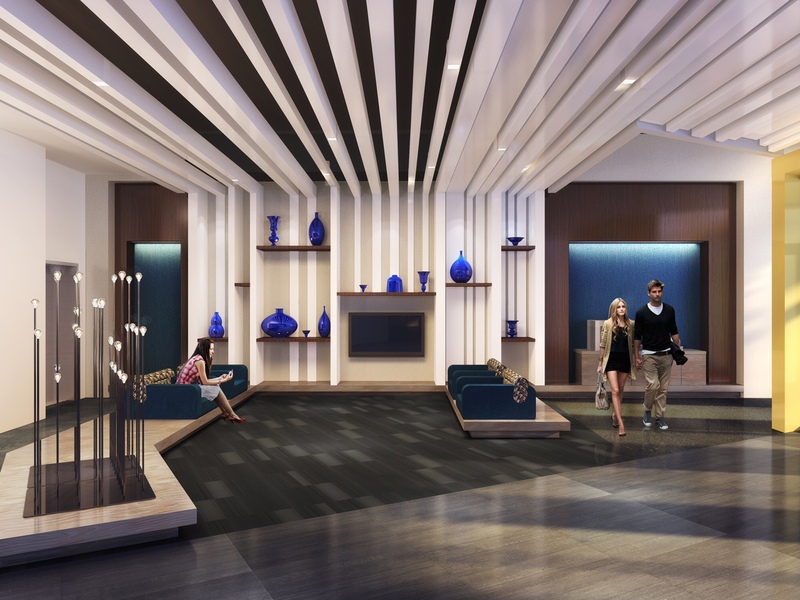 Apartments will lease for about $1.50 a square foot, or about $1,300 a month. 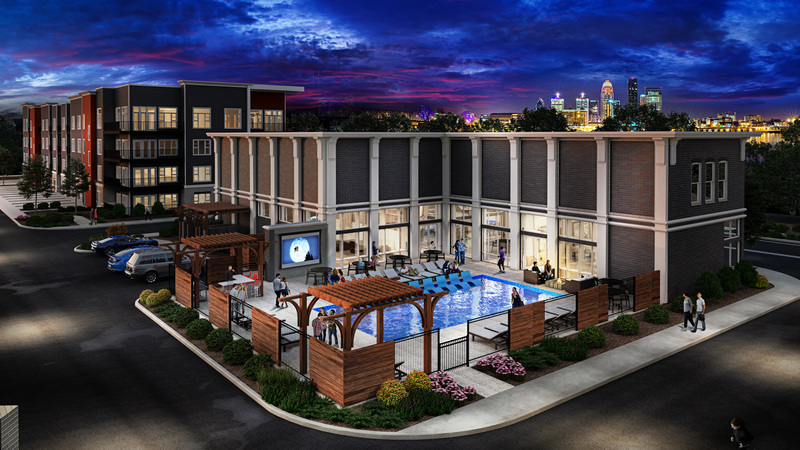 Amenities probably will include a resort-style pool with sun deck, sky bar with views of downtown Kansas City and the river, a gaming lounge, a fitness club, indoor/outdoor yoga and Pilates studios, and a bicycle bar. 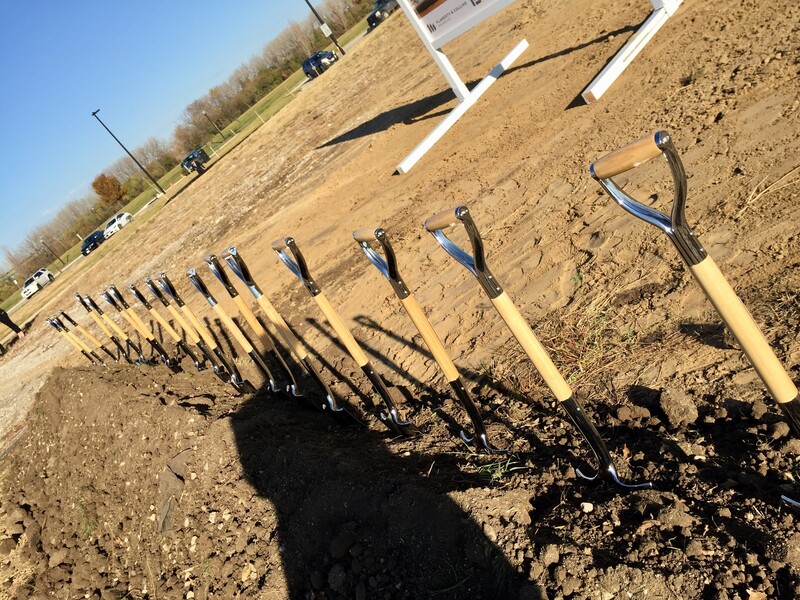 The project also will include a Bike Room, where residents can work on and store their bicycles, a Kansas City Bicycle bike-share station and a pet wash area. In November, the project received a major endorsement. 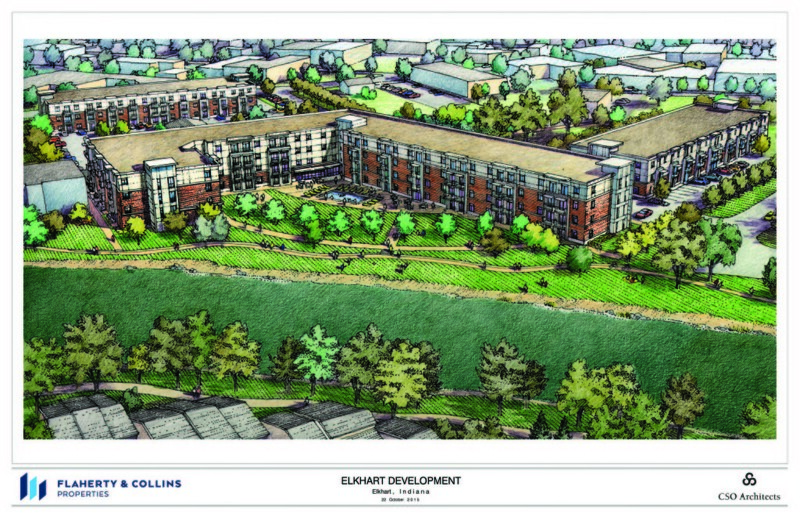 Late October brought the announcement of our project in Elkhart, Indiana, where a $25 million mixed-use project in downtown along the Elkhart River that features luxury residential apartments and retail space will take shape soon. The project will be developed on the former Elkhart Foundry site, which was demolished in 2010. 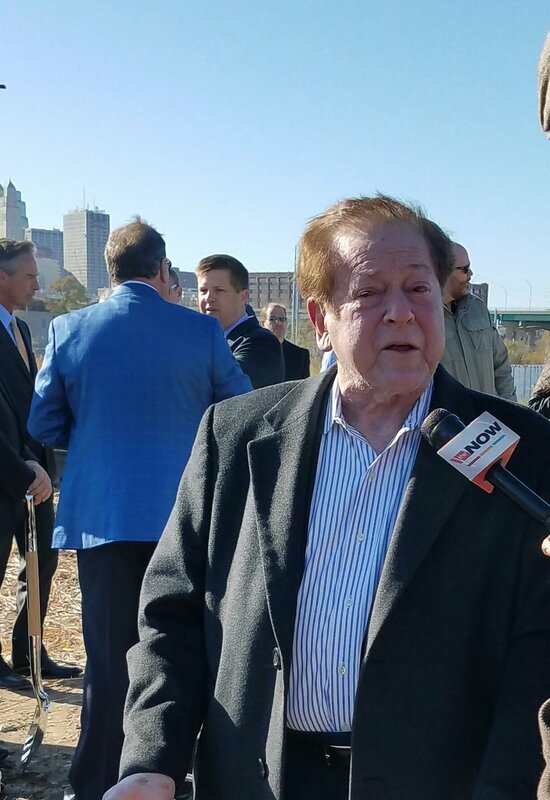 And of course, there is the exciting project in downtown Tulsa that could feature high-end apartments, a 35,000-square foot Reasor’s grocery store, parking and civic space specifically for the Tulsa Performing Arts Center (TPAC). 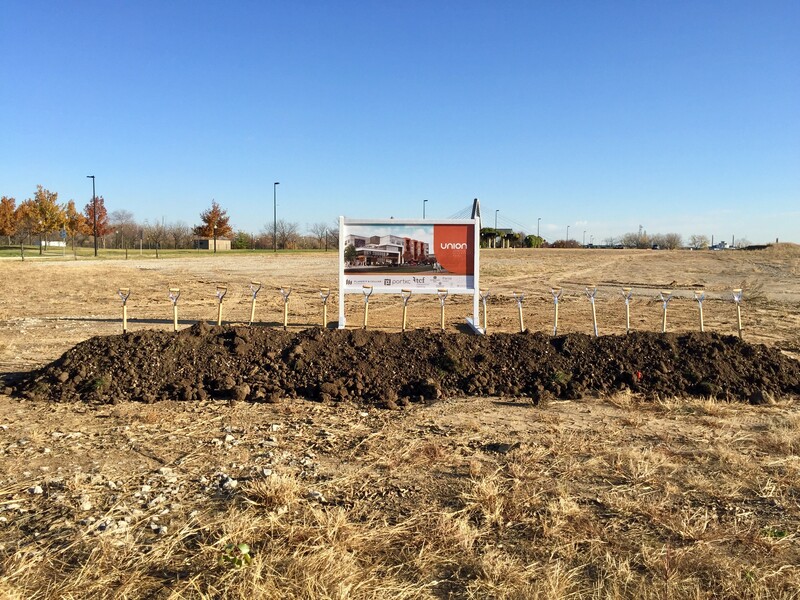 Additionally, our affordable development team has projects in development around the nation and broke ground last spring on Historic Whitlock Place in Crawfordsville, Indiana. 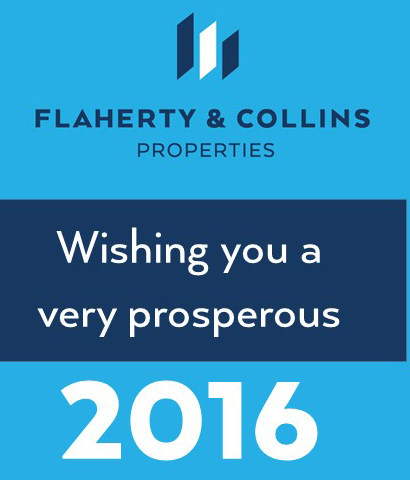 Stay tuned for more information on these and other exciting projects in 2016! A project set to change the skyline of downtown Indianapolis, Flaherty & Collins Properties officially broke ground on the 28-story, $121 million mixed-use luxury residential apartment tower on the north parcel of the former site of Market Square Arena earlier this year. The development, at nearly 300 feet tall, will feature a 40,000 square foot Whole Foods Market®. 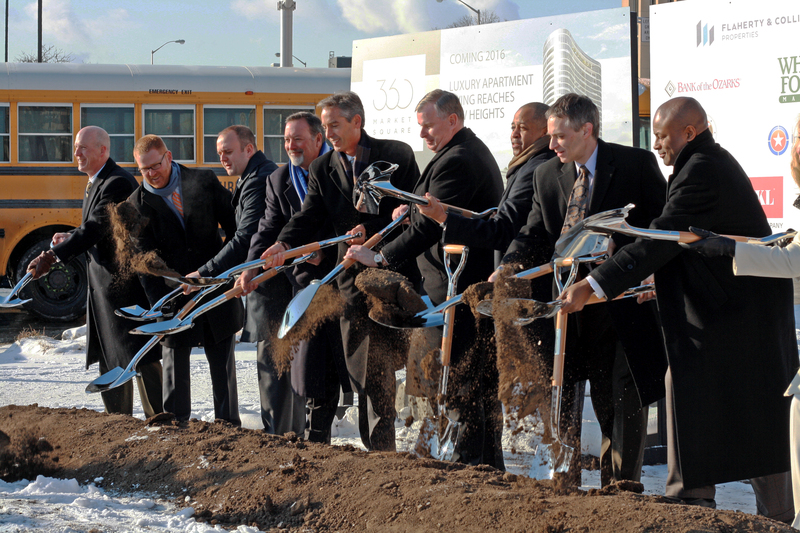 The project was named 360 Market Square. Thanks for joining our countdown!